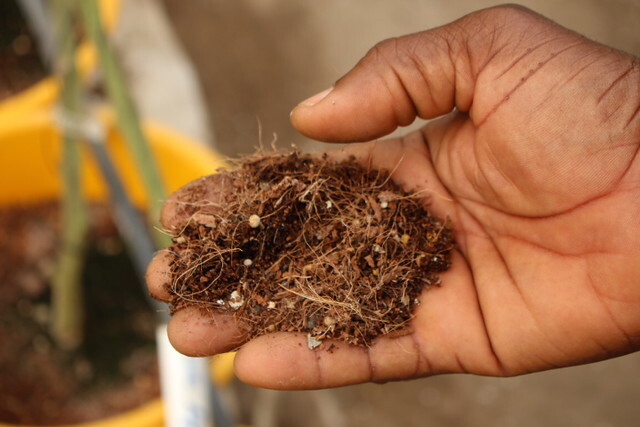 In conversations about plant life in Ghana, you may encounter this widely held idea: you can grow anything here. This is especially true in the Volta Region where alongside fishing, forestry and hunting, agriculture is one of the main economic activities. This potential is most visible during the rainy season. In Adidome, a small town in the Central Tongu District of the Volta Region, the area’s popular crops of chilli pepper and starch-rich cassava thrive, creating vibrant patches of green and red across the landscape. 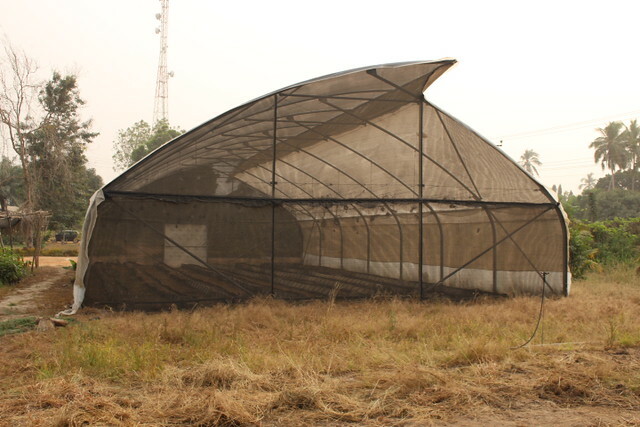 Once the inevitable dryness of the Harmattan season sets in, as is currently the case, crop cultivation and harvesting almost halts; food prices rise and supply is low. 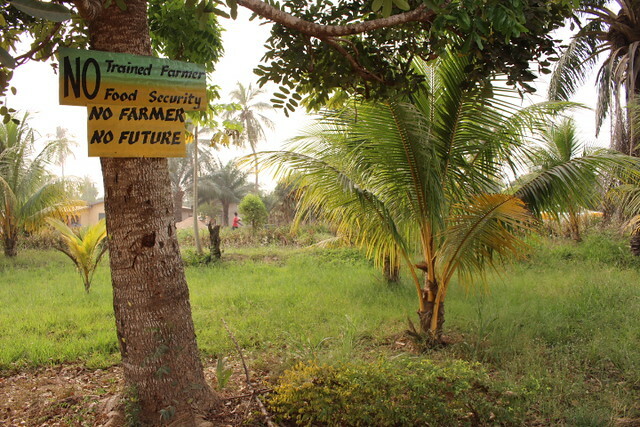 But the Adidome Farming Institute tries to encourage farmers to keep on. The Institute, established in 1964 by the national Ministry of Food and Agriculture (MOFA), is one of a total of eight in the country. Combined, the Agricultural Colleges and Farm Institutes enroll an average of 800 students annually that apply from all over the country. Northerners and Voltarians primarily enroll at Adidome’s 83-acre campus. There, they are offered a variety of year-long educational and technical training programs along with free housing and accommodation. 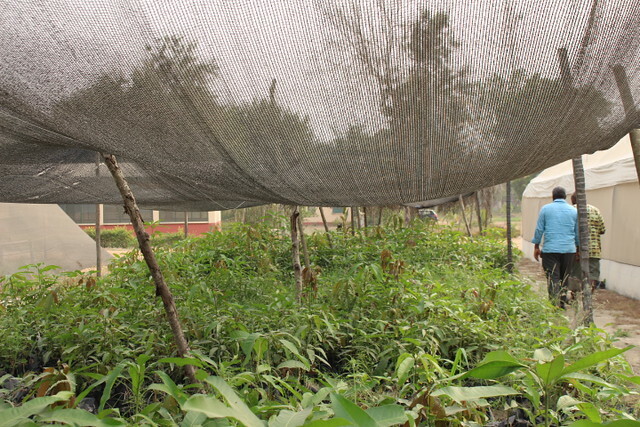 As students move from theory to practice, a number of on-site work areas including a greenhouse and a pineapple farm support the teaching and learning of best practices in farming. Joseph Kwesi-Sarpong, head of the Institute, describes this to me as we chat with other staff, including assistant headmaster Vincent Pomary. Their passion for the work of Adidome Farm Institute is palpable as we discuss their competency-based training (CBT) to support farmers in performing at their best. 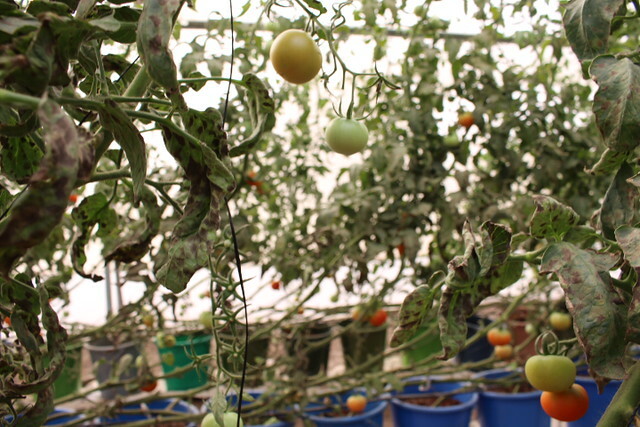 The Adidome Farm Institute’s department units are divided into multiple agricultural specializations that a single farmer or a group can choose from. Prospective students are presented a list of courses and customized trainings that cover tree and arable crops, livestock & poultry, fish farming, floriculture & landscape design and naturally, vegetable production. By introducing newer crops to the district, like yams and pineapple, the Institute helps to create a shift in thinking around what is possible in Adidome’s agricultural landscape. The Institute’s training delves into non-traditional agriculture as well, like beekeeping, mushroom production and importantly, agribusiness. Introducing an element of commerce supports farmers in thinking about moving their practice from subsistence to large-scale production and marketing. While the Institute makes available its educational services and training to prospective and practicing farmers at any age or skill level, garnering more attention from youth is central to their work. Though youth as young as 16 are encouraged to apply, the heads of staff realize how hesitant the young rural population is when it comes to pursuing agriculture as a career path. They’ve noticed that young people in the area are increasingly interested in pursuing white-collar jobs alongside their urban counterparts. Akpey Michael, one of the young people the Institute works with, completed the year-long training in 2015. Now, at the age of 23, he’s eager to get into the practice and become a manager of his own agribusiness that will specialize in bringing carrot, cabbage and lettuce varieties to market. “I like to plant a lot of vegetables and fruit, and that is why I went there,” Michael shares with me as we meet up next to the Lorry Park marketplace. He’d been introduced to farming through relatives who raised maize and potatoes, but farming didn’t initially appeal to him. Instead, the ‘learning-by-doing’ approach helped him realize that his passion for growing food could be profitable and provide him some economic independence. “My friends don’t like or want to do agric because most of them want to be in an office,” Michael says. “They say that farming is not an easy thing. My advice for them is that they have to learn more about agriculture; it’s very interesting.” With the help and guidance of his uncle, Michael has set his sights on undertaking the process of land acquisition. Ultimately, he’s determined to start his business. its a shame the youth think agriculture is a hard thing to be involved in. I honestly dont know what is easy. Agriculture is so wide in terms of which area to invest in and i find it pretty exciting. Am very grateful for this publication , Adidome Farm institute is a change maker in the Central Tongu. Mr Sarpong is some one I always acknowlege haven been with him for some few months. My challenge is the way the youths respond to agribusness, is not encouranging in anyway. Though in the university I try to engage my friends home to farm to help the community especially the schooling community. I am ready to join the campaign for a good course. NO FAMER NO FUTURE.I SALUTE YOU MR SARPONG AND THE ENTIRE STAFF.